Two Koreas agree to excavate remains of war dead in Baekma Goji area. September. 08, 2018 07:50. by Sang-Ho Yun ysh1005@donga.com. South and North Korea have agreed in principle to start joint excavation of remains of soldiers who died during the Korean War around Daema-ri, Cheorwon County, Gangwon Province, it was confirmed on Friday. The military authorities of the two Koreas will reportedly conclude agreement on a pilot site to excavate remains through general-level talks or working-level contacts before a summit meeting between South Korean President Moon Jae-in and North Korean leader Kim Jong Un, which will take place in Pyongyang on Sept. 18-20. Both Koreas are reportedly seeking to hold such talks next week. According to a South Korean government source, the South and North Korean military authorities recently agreed to pick Daema-ri as the first pilot site for joint excavation of remains within the Demilitarized Zone. The area is the site of "Baekma Goji Battle (October 6 – 15, 1952)," which was considered to be fiercest during the Korean War. Earlier during a general-level talks in the truce village of Panmunjom in late July, the South Korean military suggested to the North three or four sites of fierce battles during the Korean War in Cheorwon and Yanggu in Gangwon, and Paju and Yeoncheon in Gyeonggi Province as candidate sites for excavation of remains. The North also reportedly suggested to the South three or four candidate sites close to those singled out by the South. 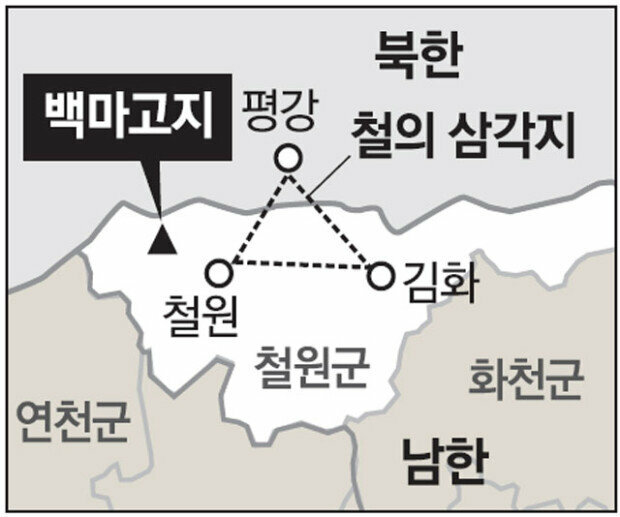 Since then, the two Koreas have reportedly concluded that Daema-ri where Baekma Goji is located is the most appropriate site after follow-up consultations including coordination of opinions through military communication channels (including facsimile). “I understand that the two Koreas will start coordination on detailed plans including execution schedule after officially announcing the selection of candidate sites for joint excavation of remains by holding a general-level talk or other event as early as this week,” another South Korean government source said. If the plan is implemented, work to remove landmines within the DMZ in preparation for joint excavation of remains will materialize right after the inter-Korean summit.